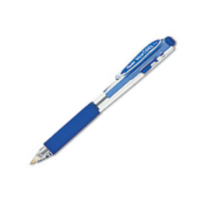 Get free office supplies to review from On Time Supplies. So you’ve probably noticed that OnTimeSupplies.com gives away free office supplies to one lucky winner every week. But there is another way to get free stuff from us. 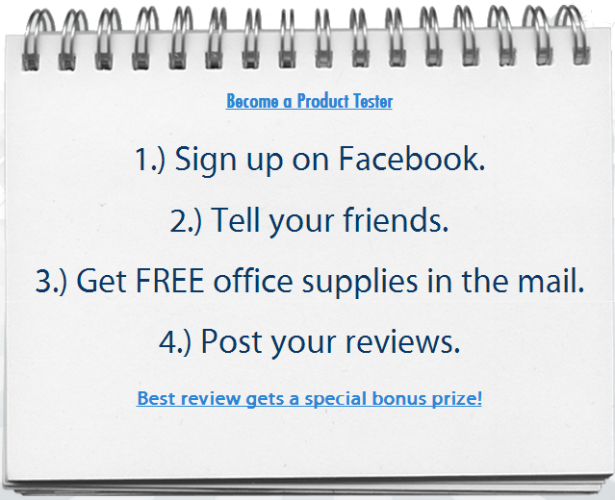 Sign up to be a Product Tester and we’ll send you a whole box free office supplies to review! We’re into the third round of the product tester program. We’ve shipped out a lot of free office supplies and gotten a ton of great reviews. Here are some of the best. Elmer’s Glue Sticks Review: smooth glide, no clumps! The Extra Strength Office Glue Stick did a phenomenal job! Wasn’t greasy or too dry, smooth glide during application with no jolts or needs to stop. Very satisfied with not having to “de-clump” the paper while smoothing two pieces together. Had a great hold, and didn’t make the paper feel too heavy. Non strong smell, easy to use on a large scale basis. For being extra strength it took the same amount of time to dry. Definitely worth the price announced and more! Will not go back to regular strength, these surpassed the test with flying colors! Pentel® Jolt™ Mechanical Pencil: nicest pencil I’ve ever used! This is one of the nicest mechanical pens I have ever used. I thought the feel of the pencil was very comfortable and the way the lead came out was very even and smooth. I used it to record several numbers on spreadsheets and my hand was not sore at all, and I was working with it for over 2 hours pretty much none stop. I would recommend this pencil to anyone that has to write for long periods of time. This is an awesome product especially if you have arthritis in your hands it feels very soft and non irritating. 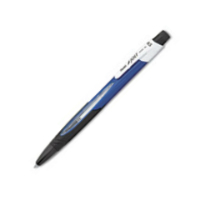 Pentel® WOW!™ Retractable Gel Pen: feels nice, looks cool! The triangular design of this pen feels really nice in a medium to large size hand. The ink does not run or smear except on high gloss paper. I really like the locking feature that locks the point out and then you must pus the button on the side to close the pen. And additionally it looks cool! I am going to enjoy using this pen to write out receipts to customers for my handmade jewelry business! Hopefully no one steals this one! We’d love to send you some free office supplies and hear what you think. Sign up to be an On Time Supplies Product Tester today!